When you watch the news, look for the good in every news story that you watch and hear. When you train your brain to look for the good in every situation – even if it is a tragic one – you rewire your brain to see the gift of life. In turn, you are moved to take action that is based on creating a successful outcome for everyone involved. What happens when you see a tragic event? Will it break you? Or will it transform you into the person you are designed to become? News reporting impacts people around the globe. News can inform and empower. However, some tragic stories can do the opposite. Tragic stories can change people’s lives forever. One such incident would change one young boy’s life into positively impacting millions of lives four decades later. 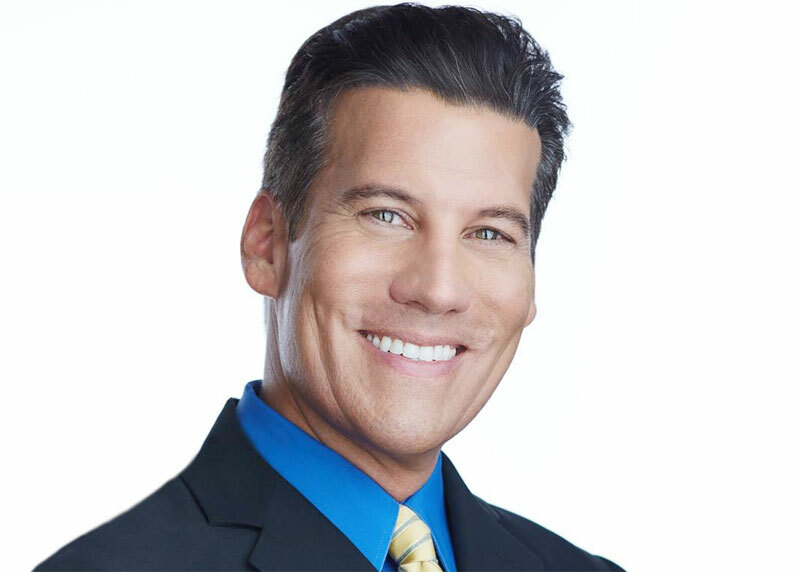 KTLA News Reporter, Chris Wolfe is an Emmy Award nominated journalist who has made a personal vow to help people positively transform with KTLA News Broadcasts. When Chris Wolfe was 14 years old, he saw an event that would change the way he viewed the world and his role in it. 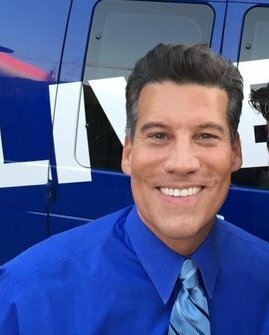 Soon after, he found himself passionately pursuing journalism and mastering live on-air opportunities to deliver the transformational “Wolfe Style News” that millions of people seek. Listen to this episode hosted by Olympia LePoint to find out how you can be positively transformed by the news stories that you watch. 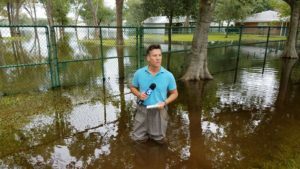 Chris Wolfe in knee-deep mud in Hurricane Harvey storm waters in Houston, Texas on KTLA 5 News. Chris Wolfe interviewed by Olympia LePoint on Answers Unleashed. 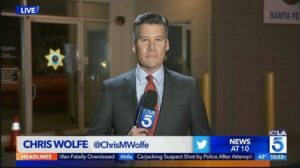 Emmy Award Nominated Journalist Chris Wolfe arrived at KTLA News in 2006 and continues to report on all shifts as a news reporter covering news between 4:30 a.m. to 11 p.m. Chris Wolfe is a seasoned reporter who has “an eye” for uncovering breaking stories. He exposes the hidden truth. As a person who watched newsmagazines such as “60 Minutes” and “20/20” as a teen, Chris Wolfe knew that he wanted to pursue broadcast journalism when he witnessed an incident that would change the way he would see life. An adventurer who loves to travel, Chris Wolfe has reported from Myrtle Beach, S.C., Fort Myers, Fla., and Atlanta, and has worked as a travel correspondent, weather anchor, news anchor, news writer and reporter at several stations and TV networks, including The Weather Channel and CNN, where he covered Hurricane Katrina. Chris earned a Bachelor of Science degree in broadcast journalism from Boston University. He loves Southern California and finds the sunny state “home” for his breaking news which spans across the globe.